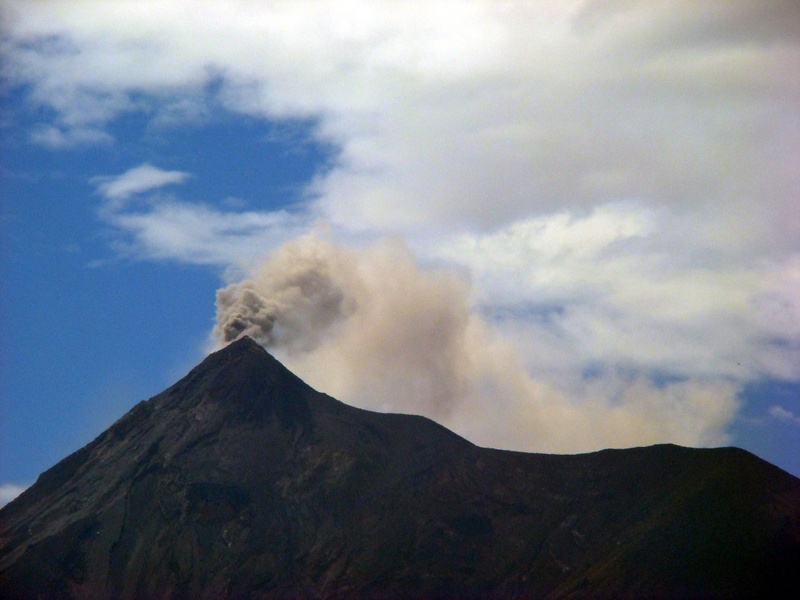 In this blog, Doris Quijivix, a member of our Guatemala origin team, reports on the recent eruption of the Fuego volcano. This past Sunday, and again on Tuesday, the Fuego volcano of Guatemala's southwest coffeelands violently erupted. The impact of the eruption has been devastating—so far, 75 people are confirmed dead, with this number expected to rise. More than 200 people are missing. And more than 1.7 million people have been impacted by the volcano’s eruption, especially those whose homes and businesses were situated near the volcano and destroyed. 27 miles away in Guatemala City, our Guatemala origin team quickly heard news of the eruption and even saw ash fall upon the city. We immediately reached out to our network of suppliers in the country to confirm their safety and evaluate any impact on their coffee production. Thankfully, we can report that all our producer partners are safe and largely unaffected by the eruption. Our producer partner closest to the blast, Asproguate, reported ash and sand landing on their farms, but clarified that this will have no major impact on their production. While our supply chain is safe and escaped major damage from the eruption, this is unfortunately not the case for thousands of Guatemalans, including many coffee producers whose farms lay in the path of the volcano’s destruction. Beyond the impact of burning lava, rocks, and gas, the ash from the eruption can cause major detriment to coffee plants if it remains stuck to leaves, as it blocks the sun and prevents photosynthesis from occurring. Farmers are being advised to shake plants and water seedlings if necessary to remove any ash. Our thoughts and prayers are with those impacted by the eruption, and we are committed to supporting them. 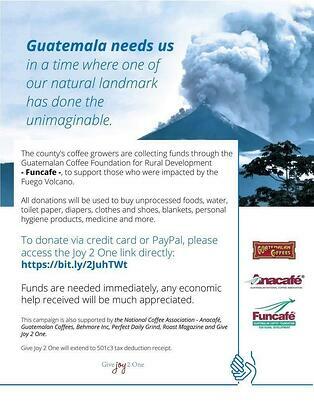 Please join us in helping those in need by donating to Anacafe and Funcafe’s relief efforts here. These Guatemalan coffee organizations are working to distribute much needed supplies like food, water, blankets, clothes, and medication to those impacted. Learn more about their efforts here, and thank you in advance for supporting the people of Guatemala during this difficult time.